OTTAWA - The Harper government defended paying almost $90,000 a day to a big consulting firm for advice on how to save money, saying it can't do the job properly by itself. 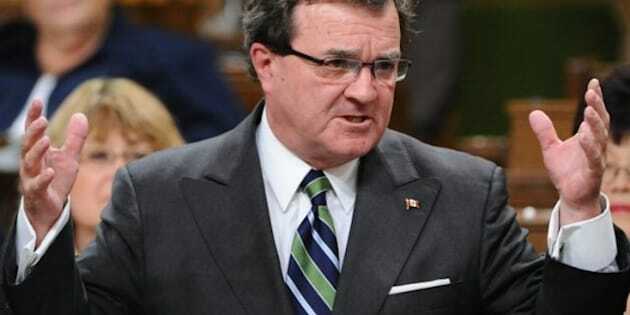 "The fact is that we feel we need to have outside advice," Finance Minister Jim Flaherty said Tuesday. "It isn't good, quite frankly, for a government to just look at itself. There's a lot of expertise in Canada on the subject of public-sector productivity, for example, and we look forward to having the advice of, in this case, Deloitte's." The Canadian Press earlier reported that Deloitte Inc. was hired on Aug. 15 on a $19.8-million contract to advise the federal cabinet and senior officials on finding enough savings to balance the books by 2014. The contract, which runs until March 31, is to advise "senior and elected officials on public- and private-sector best practices in improving productivity and achieving operational efficiencies." There's an option for a one-year extension. Opposition MPs dismissed the government's justifications. "They are spending $90,000 a day for an outside consultant to plan cuts — and that is their explanation," New Democrat Jean Crowder said in the House of Commons. "Canadians will not buy it. "A day's pay for this consultant is more than a year's pay for front-line Service Canada workers. While Conservatives throw money away on high-priced consultants, they are forcing Canadians to accept cuts to the programs and services that they rely on." On July 11, Public Works invited a group of 20 "pre-qualified" firms to bid on the contract, rather than use a fully open tendering process. Documents describing the work required were supplied directly to the invited bidders, rather than posted on a tendering website for anyone to see. The Canadian Press obtained a copy of the so-called "statement of work" under the Access to Information Act. Deloitte will advise the government on the strategic and operating review, a year-long exercise announced in the March 22 budget that will eventually trim $4 billion from $80 billion in annual program spending. Tony Clement, Treasury Board president, has asked 67 departments, agencies and Crown corporations to submit two scenarios by Oct. 3, one with cuts of five per cent, another with cuts of 10 per cent. A nine-person committee headed by Clement will then vet the proposals over the following three months and report their recommendations to the finance minister in mid-January. Flaherty will then include the final plan in his next budget, with the actual cuts slated to begin April 1. Clement has said that transfer payments to individuals and the provinces will not be touched. To date, the government has provided only minimal information about the timelines and process. Industry Minister Christian Paradis on Monday called the Deloitte contract "normal." "There will be major decisions to be taken and we need an expert from the private sector to do it properly," he said. Deloitte has already provided training sessions for officials, as well as management tools to help the committee review the spending-cut proposals. The contract also calls for advice on consolidating the government's far-flung data centres, a centrepiece of the current belt-tightening exercise. The government has already paid PriceWaterhouseCoopers a $2.5-million fee for advice on how to reduce 308 data centres to about 20. Deloitte must also provide an information specialist to advise on "disposing of information," and "co-ordinating Access to Information and Privacy Act requirements." The expert will also be "responsible for the efficient and systematic control of the creation, receipt, maintenance, use and disposition of records." Other firms invited to bid on the $20-million contract included Ernst & Young, IBM Canada, Bell Canada and Accenture Inc.